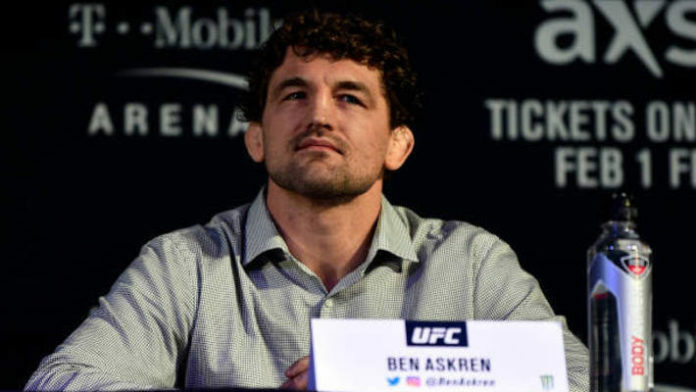 Ben Askren has responded to Dillon Danis saying he’d finish him quickly in a mixed martial arts bout. Yo @TheNotoriousMMA have you stopped the weekly payments to your BJJ coach/secret lover @dillondanis he is getting pretty desperate for attention…. Askren is coming off a controversial submission win over Robbie Lawler in his Ultimate Fighting Championship (UFC) debut. What’s next for “Funky” is unclear. UFC president Dana White has expressed interest in booking a rematch between Askren and Lawler, but “Funky” isn’t as enthusiastic about that. As for Danis, his next pro bout will take place on May 11. He will be sharing the cage with Max Humphreys at Bellator 221. Do you think Dillon Danis is biting off more than he can chew?